Increase the credibility of your store and multiply your sales with the Reviews Page Add-on! After reading product reviews, your potential clients will definitely want to buy from you right away – because they will be assured of your store’s reliability and the quality of your goods. Just imagine how many times your monthly profit will grow! Do you want your sales to skyrocket? Add reviews to your webstore! Consumers trust product reviews from other people much more than marketing descriptions and seller’s promises. Reviews Page Add-on allows you to collect photo reviews, build strong trust and boost profit with social testimonials! Show your products in action to potential clients, being used by real people just like them. How long does it take to add a reviews page to your web store? With our marvelous Reviews PageAdd-on, you only need about five seconds! We have provided an option to create a page and name it whatever you want. The page will be added to your main navigation bar immediately upon creation. Don’t want a whole new page? Review Page Add-on allows you to add reviews to any page you wish using shortcode! 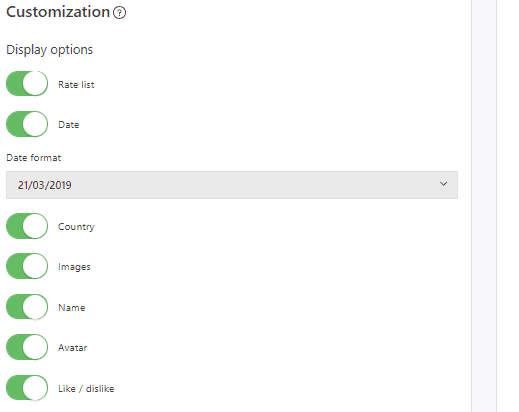 Thanks to Reviews Page Add-on’s advanced filter feature, you can sort and select reviews to add to your store: by star-rating, by country, and reviews with or without attached photos. 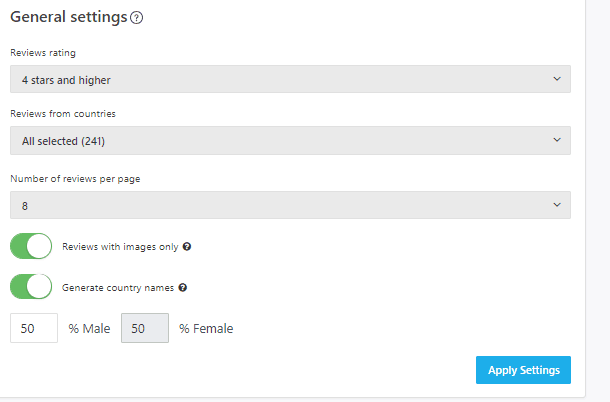 You can even adjust the ratio of male and female names and use only those names that relate to the country you work with. Build strong trust with style. Edit your future reviews page to make it even more eye-catching and complementary to your webstore’s design. 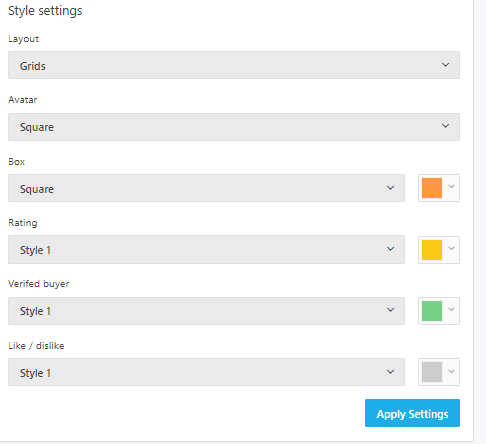 Reviews Page Add-on features a number of tools to set up display and style options: choose the elements you want to add, their shape and color at the click of a button. Are you ready to get a steady stream of sales and grow the trust level of your store? Try Reviews Page Add-on! Just want to thank the team of developers! Great solution! I am confident that this plugin is a must-have for any entrepreneur! I immediately noticed a giant spike in orders after I had added the page. To say that I was in the seventh heaven is just a huge understatement. This add-on works! Recommend! I have been in the dropshipping business for a few months. Reviews Page was one of the first tools I installed on my site. I didn’t even imagine how important it could be to have a beautiful gallery of reviews on the store! Just decided to get this add-on. People started to trust me more and bought more items. My business is going well now. But much of the credit for my great start goes to this plugin. Reviews Page is a nice and affordable tool! I dreamed about such a page for a long time but didn’t know how to create it. Thanks for making my dream come true. I got Reviews Page add-on quite recently. What can I say after a couple of days of usage – I got everything that was promised. Nice tool. I understand that my clients need reasons to trust me and place an order on my store. And what could be better than reviews from other people? I suppose this is the most effective way to persuade people that your store deserves their trust, and they can buy from you without worries.